The internet has done it again, picking apart the logistics of the promotional poster for Hollywood action man Dwayne “The Rock” Johnson’s latest film. 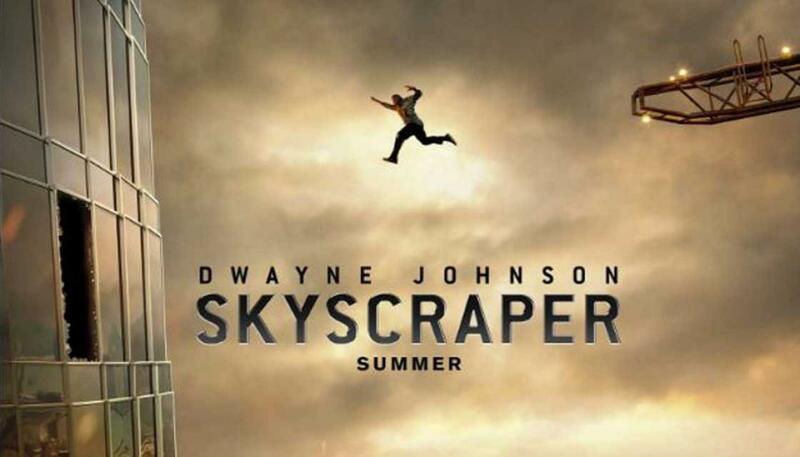 The Rock stars in new movie Skyscraper, about a former FBI agent who has to save his family from a blazing fire in the world’s tallest building. The first trailer for the China-set disaster movie was revealed during the Super Bowl, with the initial promotional poster launched just days earlier. While sensational stunts are all too common in action movies, it didn’t stop the internet from doing what the internet does best – pointing out its flaws. “Red is assuming he jumped up a bit first; green assuming he ran forward and somehow didn’t lose momentum; yellow for a sort of squat-thrust thing.”Other users illustrated the correct way The Rock would have to jump to make it to the skyscraper. The movie is set to be released in July.